This outline plan is published in January to inform whole-school and departmental planning and budgeting for the coming financial year. The plan will be updated in June and formally evaluated in November 2019. 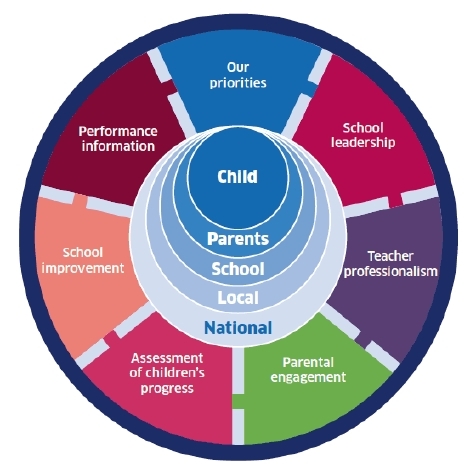 The plan reflects the priorities set out in the National Improvement Framework 2019 and guidance on school improvement planning. In line with this advice it focuses on a small number of key priorities. 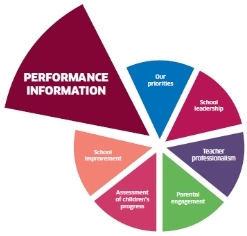 The plan also references the National Performance Framework. Parents are central in shaping many aspects of the school’s work. The icon appears against priorities where they will play a significant role. Pupils also play a key role in evaluating the work of the school and their experience of it. In 2019 we will continue our work using the young person’s guide to How Good is OUR School? with a particular focus on Learning & Teaching, Health & Wellbeing and Successes and Achievements. Revisions to National Qualifications will be completed in 2019-20 with Advanced Higher. Developing the Young Workforce seeks to expand high quality, high value opportunities for young people to develop the skills and earn the qualifications required to gain fulfilling employment. 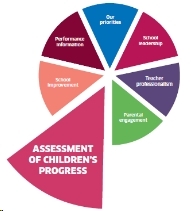 The Scottish National Standardised Assessments (SNSA) were introduced in 2018 for pupils in P1, P4, P7 and S3 and a national BGE Improvement Toolkit will go live in February 2019. We are continuing to implement our STEM development plan. Education Scotland is commissioning new professional learning for teachers, a Gender Kitemark to support best practice and a Young STEM Leaders programme. A significant upgrade to our Office 365 portal will be completed in 2019. This will be complemented by a review of pupils’ Digital Skills development across the school. The work of our Chinese Language Centre will continue to expand. Our priorities are guided by the needs and interests of each child and their family. Our Parent Conferences, focus group events and longitudinal surveys provide opportunities for parents to hear about and shape practice. Education Scotland will publish a new national toolkit on Involving Parents in June 2019 and a parental involvement survey will also be piloted. The budget for 2019-20 requires the school to review all aspects of co-curricular provision. Utilising the young person’s guide to How Good is OUR School? we will further review our pupil engagement and surveys. Review the range of information shared via our web site and Prospectus. In 2019 we will build on our Gold Rights Respecting School Award through our work on anti-bullying, Mentors in Violence Prevention, health and wellbeing including mental health and equality and diversity. We will continue to develop our matrix of key indicators to identify potential needs and interventions and to support our work on nurturing. A national summit planned for early 2019 is designed to reinvigorate approaches to additional support for learning. National support for disabled children will be provided through a new web site and app. A review of Personal Social Health Education will be published by the end of 2019. A national strategy for school libraries was published in September 2018. The school had already commenced a review of the role of the library in supporting young people and learning. The school will be seeking its 4th Green Flag and recognition as an Eco School. Create a nurture/health and wellbeing space to support vulnerable young people. Consider the PSE review in planning future provision. The success of Jordanhill School is founded on the quality, professionalism and commitment of our staff. We aim to provide opportunities for high quality learning and leadership for staff at all levels. We are delivering a 2-year Collaborative Middle Leadership programme in conjunction with SCEL complemented by support tools through Leadership Matters. A wide-ranging training plan will be delivered by City of Glasgow College supported by the Flexible Workforce Training Fund. 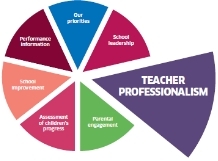 Extensive professional learning activities will be undertaken to support the priorities identified in other sections of the School Improvement Plan: SNSA, STEM, digital learning, RSHP, mental health, equalities and teaching and learning. We will also engage with the Regional Improvement Collaborative to ensure access for staff and pupils to the emerging support frameworks. 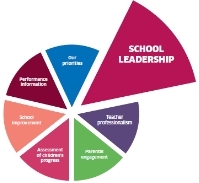 School and leadership performance is tracked through longitudinal surveys of parent, staff and pupil perceptions combined with a range of external audits which are reported on in our Annual Reports. Further information is available on our School Improvement page.